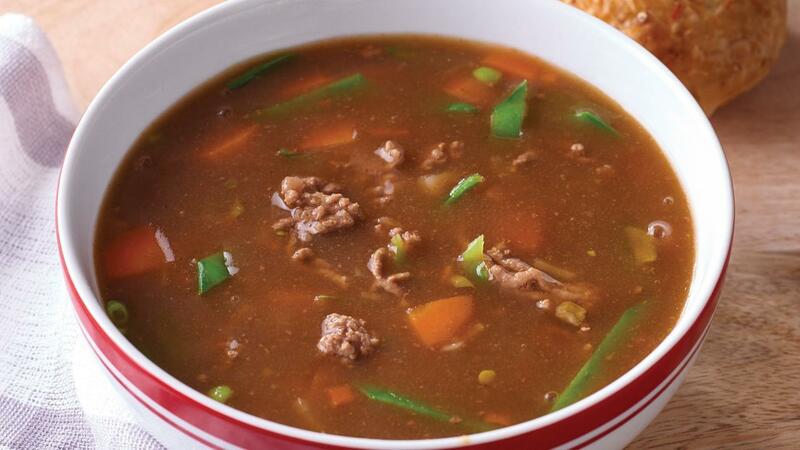 Lean beef soup with fresh carrots and snow peas. Combine the CONTINENTAL Professional Thick Vegetable Soup Mix with water using a whisk. Add the remaining ingredients to the soup and bring to the boil and simmer for 10 minutes.